Double your Christmas donation with Matched Charity Gifts from just $12. All gifts include a Free Christmas Card. Double your impact this Christmas! Gifts matched up to a max. of $50,000 thanks to a special group of CFTC donors. Cute chicks grow up to give excellent nutrition: three can provide 1,000 eggs a year. Your gift includes feed, training, and hen house construction. Beekeeping training and start-up supplies yield tangible products (honey, wax), promote biodiversity, and aid in pollination for better crops. 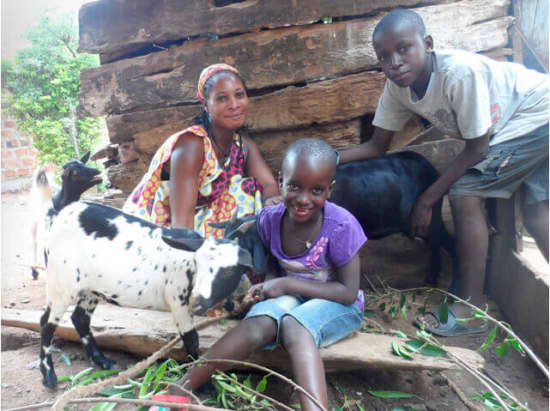 Sheep provide rural families with a sustainable source of nutrition and income. Your gift includes feed and training on care and breeding. School breakfasts and lunches feed hungry tummies and fuel learning each school day. Often mandatory yet unaffordable, a school uniform allows a child to enroll in school, boosts their confidence and gives them a sense of belonging. A bicycle makes it easier for community volunteers to visit farm families to provide them with the support they need to thrive. Good nutrition is crucial for children as they are developing. Your gift provides one year of nutritious food for a child at school in an international location. There’s food on the table all year long when farmers have the seeds, tools and knowledge to grow veggies in the dry season! A school latrine improves student health and hygiene, and significantly reduces sanitation-related illness - plus, it helps girls attend and stay in school. Seeds are often costly and many farmers are unable to obtain them easily. Give the gift that grows into healthy crops for consumption and sale, and sow hope! By providing an artisan basket weaver with the supplies she needs, you will be setting her up for success and to earn an income to support her family. In the event that money raised for a particular item exceeds the demand for that item, your Christmas donation will be directed to a related gift in our catalogue. When you buy a charity gift for your Christmas donation it will be sourced locally, i.e. as close to the recipient as possible. This approach provides an extra boost to local economies while keeping transport costs to a minimum. 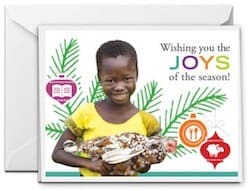 When you buy a charity gift from our Best.Gift.Ever catalogue you will be able to select a FREE Printed, PDF or eCard to send to a special somebody. Card designs include Christmas (pictured), gift-themed, birthday, teacher, wedding plus many more. You can also buy charity gifts without selecting a card. When you buy charity gifts for your Christmas donation you will immediately receive a charitable tax receipt in PDF format by email. You can pay for your charity gifts using a credit card (Visa, MasterCard or Amex) or via PayPal. Canadian Feed The Children is a registered Canadian charity. Canadian Feed The Children’s local partner HUYSLINCI, with the support of many generous Canadians, offered Florence training in caring for domestic animals and maintaining a vegetable garden. She learned that animals need space that is well planned and maintained as well as how to properly feed them, and to identify disease and illness and how to treat them. HUYSLINCI also taught her the importance of saving and borrowing, and to not sell animals if an urgent need arises in the household. These days I spend most of the time looking after my animals. I also grow bountiful vegetables for us to eat and sell and I am so happy that you helped give me those skills. I am proud of the way my little farm is expanding. We are an award-winning organization. We were named as a Financial Post’s Charity of the Year in 2016 and 2017, a Charity Intelligence Top 100 Rated Charity in 2018 and a MoneySense Top 100 Charity 2019. We are an accredited member of Imagine Canada as well as a Better Business Bureau’s Wise Giving Alliance Member. We are transparent, trustworthy, and accountable. 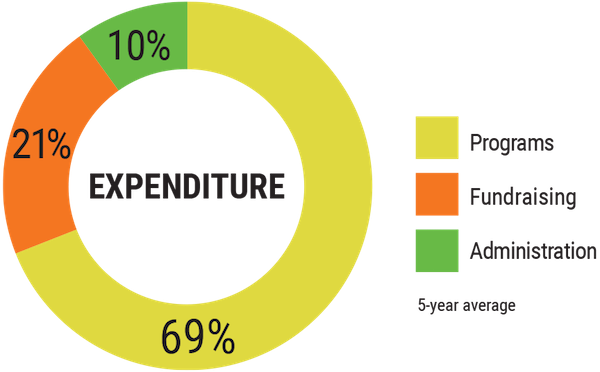 You can read our publicly available financial statements in our annual report here. Our mission is to unlock children’s potential through community-led action in Canada and around the world. You can purchase charity gifts online using MasterCard, Visa, American Express or PayPal. You can also buy a goat by calling 1-800-387-1221 between 9am – 5pm EST, Monday to Friday. How does buying a charity gift help children? The communities we support have identified the gifts listed in our Best Gift Ever catalogue, as being vitally important to ensure children’s health and well-being. Canadian Feed The Children along with our local partners provide goats, school supplies, water taps, fish farms, etc, as part of our broader programming initiatives. When you purchase a Best.Gift.Ever for your Christmas donation, funds go towards the range of development programs in the communities we support. The projects go beyond the simple provision of items; they also include training, project monitoring and evaluation, local expertise and support – everything needed to deliver effective, sustainable, high-impact and meaningful change in a community. The gift/s you purchase will benefit the communities we support in our countries of operation: Bolivia, Canada, Ethiopia, Ghana and Uganda. What are the estimated card delivery times? When you buy a Best.Gift.Ever gift as your Christmas donation it comes with a Free Card available in three formats: email, PDF (for printing at home), or print. If you choose a printed card, we can send the card by post to you or to your honouree, whichever you prefer. While we can’t guarantee delivery time, your card will be processed and sent by mail within 48 hours of purchase and by email within one hour. Note that if you send an eCard you will be able to schedule its delivery for sometime in the future, e.g. on Christmas day or the card recipient’s birthday. Are tax receipts issued for Christmas donations? When you purchase a gift online, you will receive an immediate charitable tax receipt in PDF format by email. When you order charity gifts by phone, you can choose to receive an electronic receipt or have one mailed to you, usually within two weeks. Canadian Feed The Children’s charitable registration number is 11883 0983 RR0001. See the Government of Canada’s policy statement for charitable tax receipts for more information about charity tax receipts. Is HST charged on my Christmas donation? Your charity gift purchase is a donation to Canadian Feed The Children, so no taxes are charged. Can I give charity gifts year-round? Yes! A new gift catalogue is launched each year in mid-October, and runs until the next October. All items are available throughout the year and make excellent gifts for any occasion.